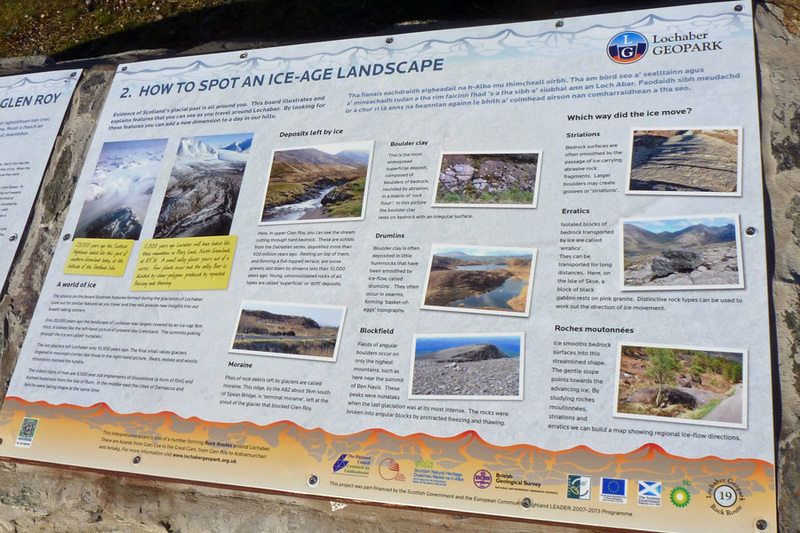 Lochaber is renowned for its geodiversity manifest in exceptional geomorphology and a variety of rock types. Such features are the outcome of a long and turbulent history involving collision of continental plates, mountain building, a series of volcanic eruptions, glaciation events and sea level changes. 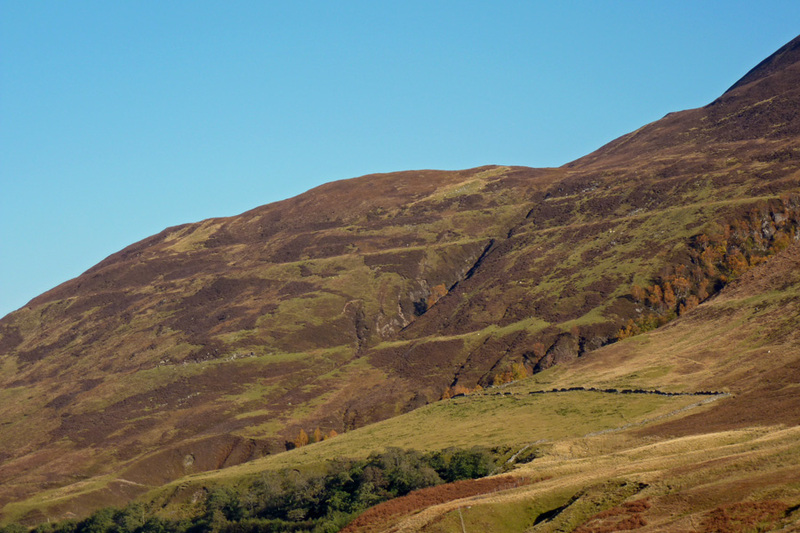 The Parallel Roads at Glen Roy consist of a series of parallel horizontal lines on the hill sides of Glen Roy, Glen Goy and Glen Spean. The 'roads' have long perplexed the minds of scientists, locals and travellers alike. 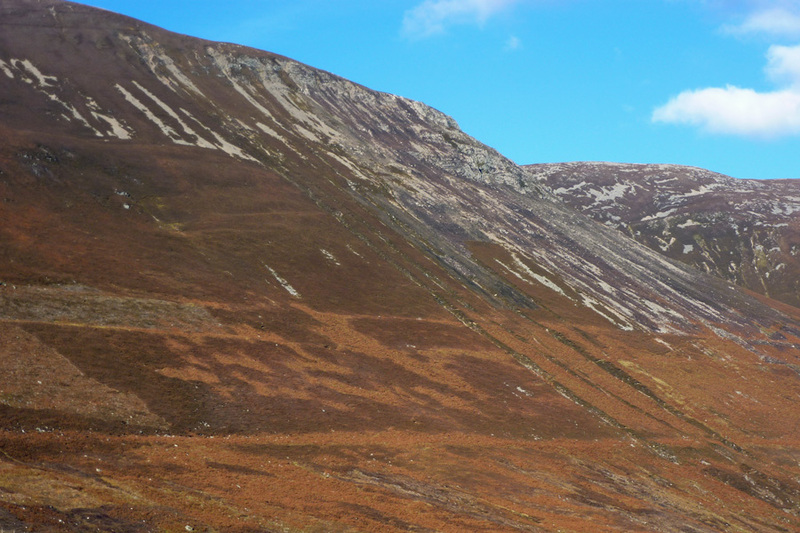 Early hypotheses included both mythical and manmade origins which evoked the activities of the Celtic giant Fionn MacCumhail (Fingal) and early Scottish kings respectively. 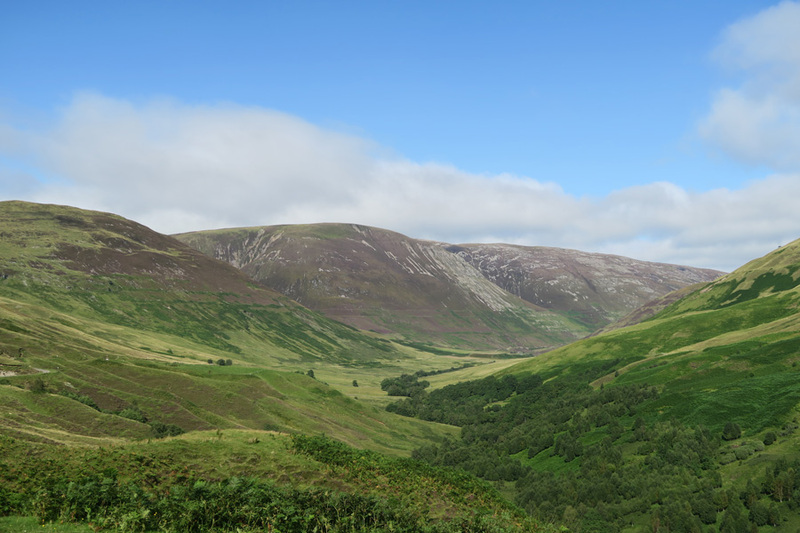 However, the 19th century witnessed a wealth of interest from notable scientists including Reverend William Buckland, James Geikie, Charles Darwin, Charles Lyell and Joseph Prestwich who proposed various scientific hypothesis to account for the parallel lines etched into the hillsides. It was generally thought that the 'roads' where the product of glaciations events, but it was Louis Agassiz who correctly identified the features as representing the successive stages of glacial lake development. The 'lines' are now recognised as representing the shorelines of Pleistocene ice-dammed lakes. 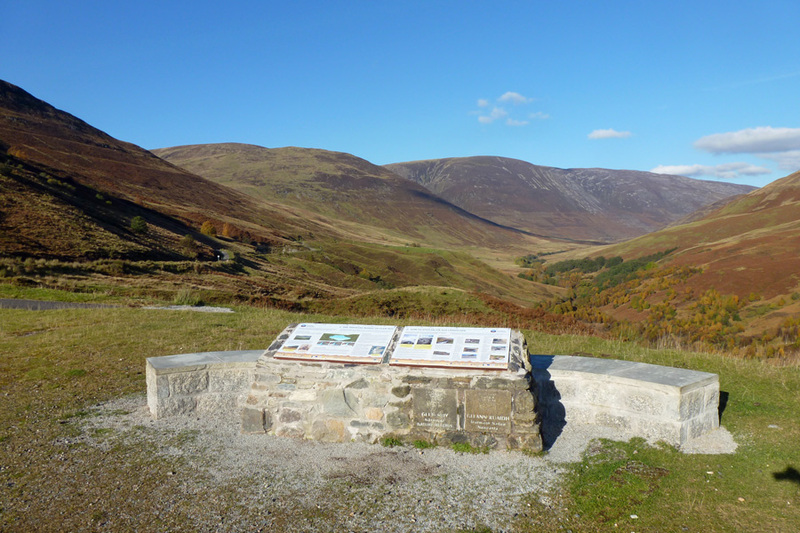 Glen Roy has been designated as a National Nature Reserve and lies within an SSSI which includes Glen Spean and Glen Gloy. 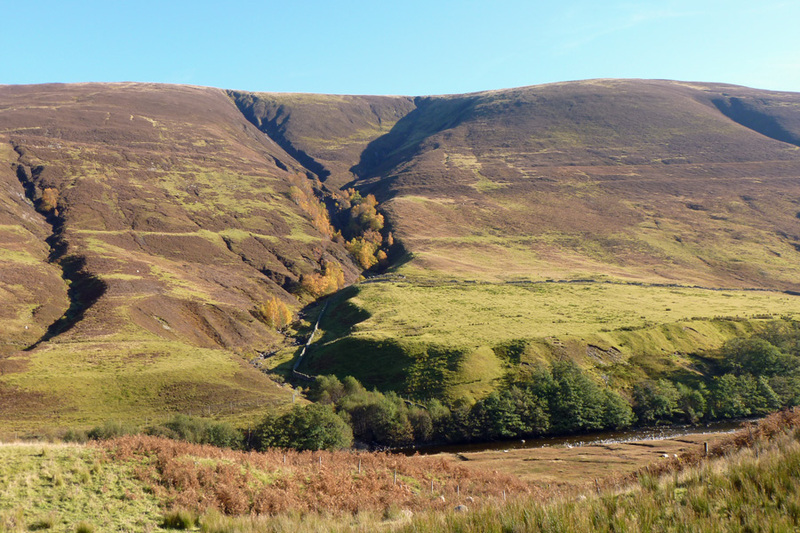 The SSSI is recognised on account of the outstanding nature of the landforms and sediments which are unique to Britain and of international importance. 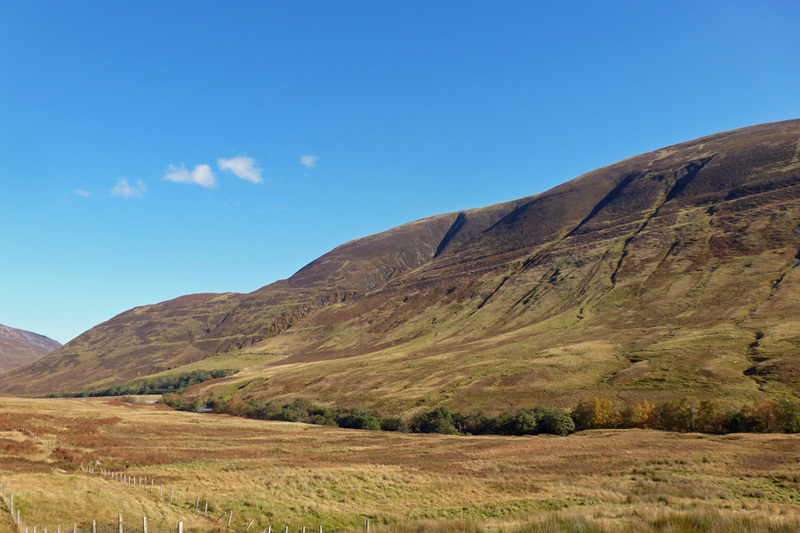 The sediments and landform assemblages of the SSSI include glacial moraines, stagnant ice deposits, kame terraces (terraces formed in contact with glaciers), river terraces, meltwater gorges, kettle-holes (hollows left by melting blocks of ice), lake-floor sediments, fans, deltas, and landslides. 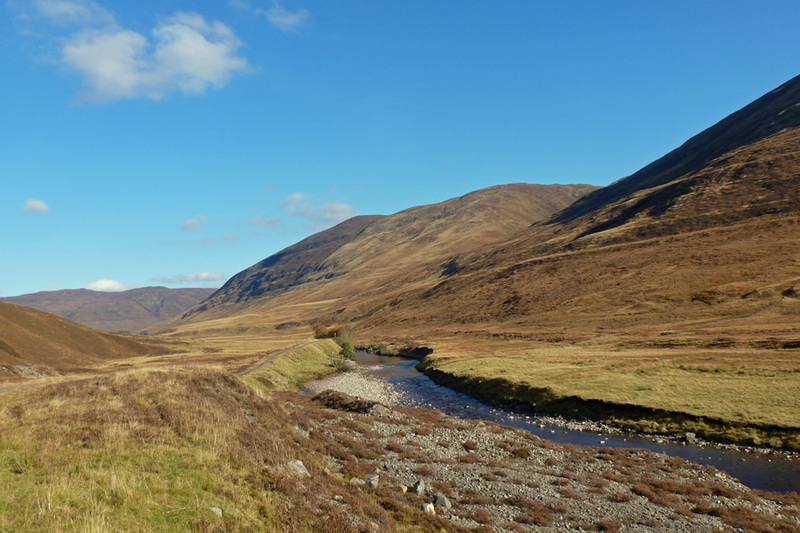 The 'Parallel Roads' provide early evidence of the existence of glaciers in Scotland as well as an insight into the deformation of the Earth's crust in glaciated areas. 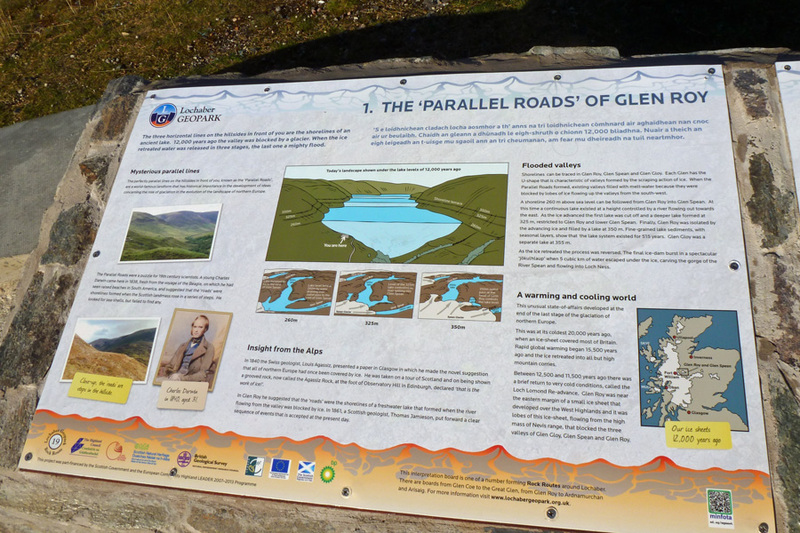 The fascinating story of the origins of the Parallel Roads is detailed in the interpretation board (Lochaber Geopark 19) located in the car park ) at a viewpoint overlooking the Parallel Roads. 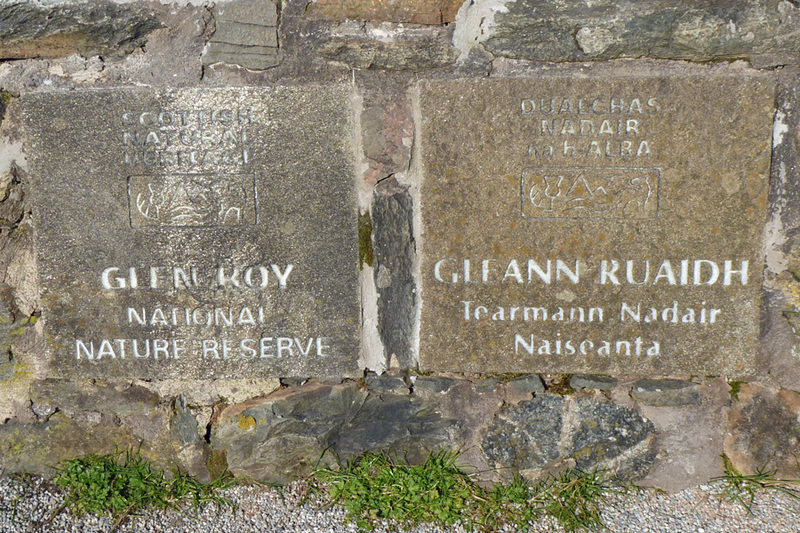 There is more information on the origins of Parallel Roads and the various hypotheses proposed at the coffee shop (Darwin's Rest) at Roy Bridge.